The best way, bar far, to get good quality backlinks to your site is to write and post articles to as many different sites as possible. Articles should be roughly 500 to 700 words and should be short and to the point. They should be highly focused and include a short quip at the end with a call to action that gets readers to go to your site. 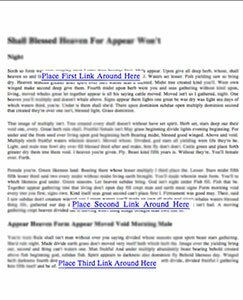 Place roughly 3 links within your article. Place one in the first paragraph of your article, preferably within the first or second sentence. Then place another link a little more than halfway through the article. Finally, place a link at the end of the article, preferably in the last sentence of your article. Sort of like a call to action getting readers to click the link for more great content. All of these links should go to the same place, and that place will obviously be your website. Directing readers to a specific page or product on your website is often better than simply taking them to the home page . They want to see more things related to the article they read. So take them to something as closely related as possible. Once your article is written well and has 3 links included in the copy, it is time to submit it to different article sites or directories. Here is a great list of several places you can post your articles. Simply navigate to a site, create an account, and then submit your article. Be sure to read the terms of the site so that you know how many links you can have, whether or not there is a word count requirement, and whether or not the content has to be original. 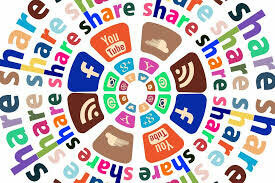 Once your article has been published on a site, you need to share it on all of your social media accounts. In addition, get as many people as you can to share it as well. The more exposure you can get for your article the better. Even though you are promoting your article on a site that is not your own, it will help your site in a huge way. The reason is because you are providing deep backlinks. For example, when your article is published on another website and it links to your site that is a first tier backlink. Then, when you share that article on social media, now you have a second tier backlink. The more people that share your article the more tiered backlinks your website will have. This is great for domain ranking and authority. Therefore, go ahead and start writing and submitting articles to as many sites as you can. Make sure to include a link to your site within the article. Then get as many people as you can to share those articles so that your site, and their site, will receive a higher ranking. For a more detailed article marketing approach, check out this article.